YouView launches free Android app with remote record | What Hi-Fi? YouView has today released its first Android app, allowing users to view the YouView EPG and set recordings on their Android phone or tablet. 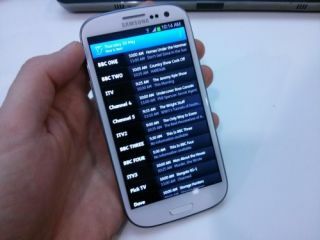 Bringing the same functionality as the YouView iOS app, the Android version gives access to 70 digital TV and Radio channels for both the last and next seven days, with full programme information. Remote record functionality, which allows users to set recordings on their YouView box remotely from their phone or tablet, is also on board. You can connect up to five Android devices to your YouView box using the app, and the app is compatible with most devices with Android 2.3+ OS, ensuring the latest ANdroid phones should work no problem. Further updates to the YouView app are scheduled for later this year. The YouView Android app is available free from the Google Play store.